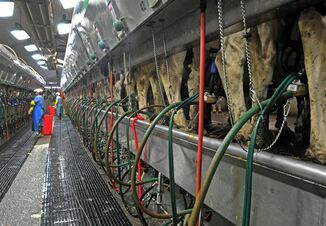 Dairy giant Fonterra on Wednesday raised its Australian farmgate milk payout slightly to A$5.20 ($3.97) per kilogram of milk solids, in line with its forecasts, as falling production pushed up prices. The A$0.10 per kilogram increase by the New Zealand co-operative comes amid a recovery in global dairy prices that began last year after two years of falls. 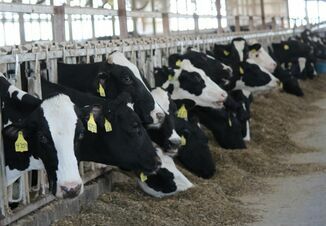 "Production has fallen across the major exporting regions, particularly Europe and New Zealand, and we've seen a significant decline in Australian milk supply," Australia managing director Ren√© Dedoncker said in a statement. 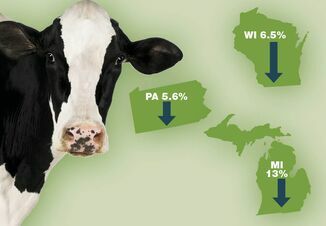 Farmers and analysts had been nervous that a 50 percent rebound in dairy prices during 2016 appeared to be stalling after prices began to slip in late December.